Ah…revenue. The often elusive component of really cool free services. But looking at creative ways to generating income is also becoming pretty cool as mobile technology takes off. In a recent article, MobiADNews explored some interesting possibilities by looking at a patent application that could be used with Google Voice. The patent describes features such as an auction based ad selling system, caller location determining ad selection, category ad choices and the ability to charge advertisers by how much of the ad is actually heard. Gentle reminders. Use transcripts to target a don’t-you-dare-forget event (Mother’s Day, anniversary, birthday) and offer specific contextual voice ads. A reminder coupled with a coupon or special offer would probably be appreciated more often than not. Recommendations. Google could integrate the ads with Google checkout. For example, if Google remembers you’ve purchased movie tickets, Google Voice could present ads to buy tickets on Thursday afternoon for the Friday release of a new film. Special offers. 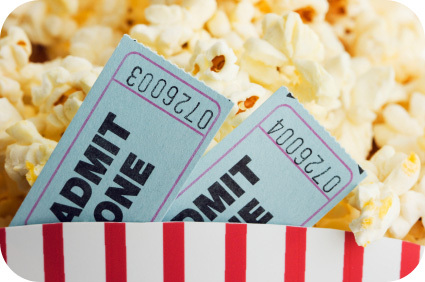 Movie tickets purchased through Google Checkout trigger special discounts on related merchandise or buy-one-get-one coupon at the snack bar. Targeted product information. The video games you are interested in trigger popup reminders about game release dates and nearby stores that carry them. Of course, the ultimate goal should be to add to, not compromise, the mobile user experience.